Wat is dit voor site? Wij zoeken de goedkoopste boeken op internet. Justice at Warvonden we het goedkoopst op Bol.com voor €25.99. We hebben gezocht in nieuwe en tweedehands boeken. Rechtsonderaan de pagina kan je het boek direct bestellen	via Bol	.com. The status of civil rights in the United States today is as volatile an issue as ever, with many Americans wondering if new laws, implemented after the events of September 11, restrict more people than they protect. How will efforts to eradicate racism, sexism, and xenophobia be affected by the measures our government takes in the name of protecting its citizens? Richard Delgado, one of the founding figures in the Critical Race Theory movement, addresses these problems with his latest book in the award-winning Rodrigo Chronicles. 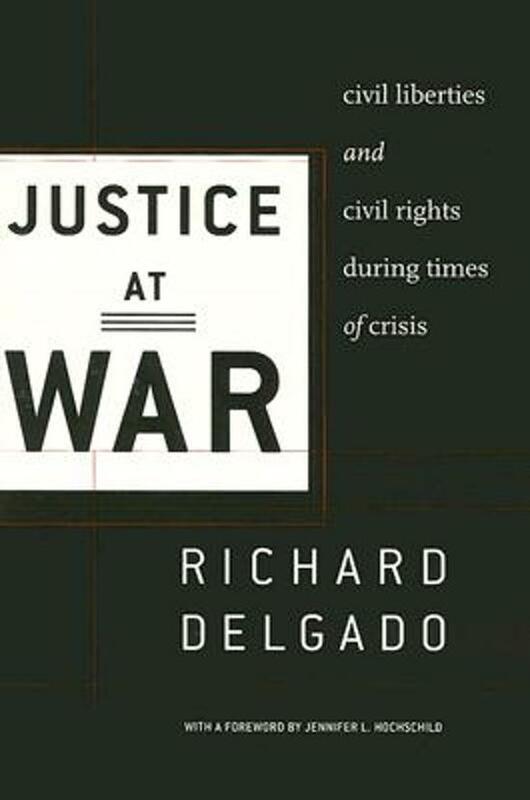 Employing the narrative device he and other Critical Race theorists made famous, Delgado assembles a cast of characters to discuss such urgent and timely topics as race, terrorism, hate speech, interracial relationships, freedom of speech, and new theories on civil rights stemming from the most recent war. In the course of this new narrative, Delgado provides analytical breakthroughs, offering new civil rights theories, new approaches to interracial romance and solidarity, and a fresh analysis of how whiteness and white privilege figure into the debate on affirmative action. The characters also discuss the black/white binary paradigm of race and show why it persists even at a time when the country's population is rapidly diversifying.